We’re Celebrating 25 Years by Giving Back to You! Join Us! Cardio Endothelial Function Test! Foot posture, Blood Pressure, & Carotid Artery Screenings! Zinc, pH, Iodine & Neuropathy Tests! A 350+ Value! 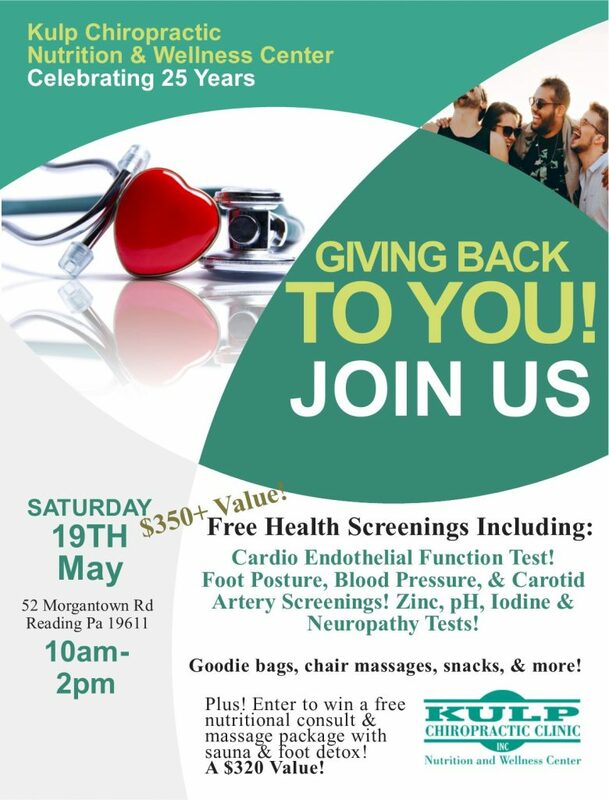 Free gift bags with plenty of goodies, chair massages available, and refreshments to enjoy! Enter to win a free nutritional consult & massage package with sauna and foot detox! A $320 Value!